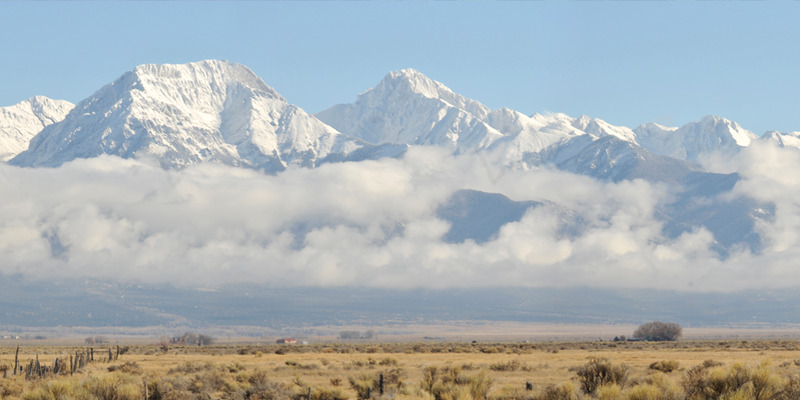 A program implemented by the Manitou Institute & Conservancy for planning and protecting 1,504 acres held by the Manitou Foundation in Crestone, Colorado known as the Mountain Tract. 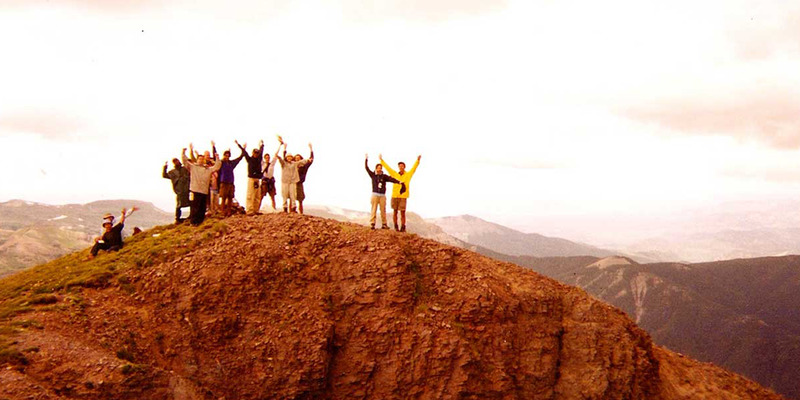 Years of indepth studies were conducted in collaboration with The Conservation Fund (TCF) and its consultants -- taken together, entitled The Manitou Habitat Conservation Plan (the “MHCP”) -- this was formulated to assist the Foundation and prospective land grantees in identifying feasible sites for land development and for managing environmental resources. It is a “how to” program/manual for cooperative planning and a guide for understanding the importance and sensitivity of this particular landscape. Land Use Plan Land Capability Summary Colorado Division of Wildlife Summary Colorado Division of Wildlife Resource Inventory Series MHCP Wildlife Summary Soils Analysis. The MHCP strives to ensure a high level of biological and environmental protection by limiting the total amount of development and disturbance that can occur on the Mountain Tract. By prohibiting development on sensitive lands and setting limits on total buildout, density of development, and intensity of use, the MHCP effectively preserves the integrity of well over 90% of the entire tract and achieves the desired goal of stabilizing habitats. It also protects essential resources by preserving all riparian corridors (and related seeps and springs), several unique sand formations, viewsheds, and cultural resources. Fundamentally, the MHCP is a two-tiered system: While adoption of the Land Use Plan will initially yield a substantial threshold of protection, full implementation of the MHCP can achieve significant enhancements through intensive site analysis and planning. The degree of Mountain Tract protection afforded by the plan may not prevent all disturbance of all species, but will protect essential wildlife populations, significant habitat and the long-term viability of sensitive species. Micro-level protection for such elements as wildlife migration trails, roosting sites, and bedding areas, for example, can be accomplished as Foundation staff and grantees apply the technical portions of the MHCP in their due-diligence and planning of a particular site. Accordingly, to fully implement the MHCP, TCF recommended that the Foundation should pursue a layered strategy. The first step, included executing a conservation easement over the entire tract reflecting the range of uses set forth in the Land Use Plan. The “master” easemen provides a baseline of resource protection while retaining flexibility for the Foundation and its prospective grantees for future planning and development. The second step entails executing a detailed conservation easement at the time a grant is made, restricting the property to the site plan and conditions of the grant. This “specific” easement cites the protection and development measures yielded by the MHCP site- planning process. The two easements, in turn, achieve the general and the specific, thereby realizing the promise of deliberate long-term planning for the Mountain Tract. Regional planning and mitigation requires collaborative efforts with multiple stakeholders, as the Mountain Tract is home to numerous active spiritual and educational centers, all hemmed in between the growing Baca Grande subdivision to the West, the US Forest Service lands to the East, and Baca Wildlife Refuge to the West. MI&C partners for cooperative working relations, in developing the culture that will ensure the multi-generational, large landscape scale, natural resource conservation legacy intended in the Conservation Easements in perpetuity. MI&C is also a Community Service Provider with the CO Dept. of Probation. An innovative approach to addressing the problem of global climate change by mobilizing and engaging young people for sustainable livelihoods in earth restoration. A sustainability education program focusing on various forms of eco-preneurship is proposed that will prepare youth for the next phase of global economic development: the restoration economy. The global economy has already entered the first phase of a historic shift toward basing economic activity on conserving and restoring rather than plundering the ecosystems that sustain life on earth. This program is a prototype that promises to accelerate this shift. The uniqueness of the approach lies in re-connecting young people with nature and culture as a basis for creating restoration economies based both on traditional and innovative appropriate technologies. The classical western one-size-fits-all development model, restricted to material economic criteria, has over time jeopardized life on earth by impacting negatively not only on biological but also cultural diversity, including the way we think and behave as humans inhabiting a living planet. Too many of us still lack an understanding of the inter-connectedness and inter-dependence of all forms of life. For the fundamental challenge we face in our ecological crisis lies in changing our way of living, working, and being in the world. A restoration economy cannot be rooted in the old mindset of material acquisition for its own sake and at all costs. Earth restoration is a function, foremost, of restoring the balance in the human-earth relationship. This involves engaging in a process of transformational change guided by moral/spiritual values that is culture bound, i.e., at the participatory level of the personal, local, and regional. Restoring the earth’s biological diversity is not a matter of technological quick fixes, but co-dependent on the principle that biotic and cultural diversity complement and reinforce each other. Both need to be harnessed to promote new forms of economic activity that sustain rather than pillage the earth’s resources. "Ancient cultures representing the world's wisdom traditions maintained a sacred connection to seeds and agriculture; evolving with the natural world as one. As humanity becomes more and more disconnected from the natural world, so do our relationships with the life-supporting systems that we are destroying faster than our ability to understand the future impacts and consequences. Extinction of traditional seed species is likely to be one of our longest-lasting legacies and likely our own exctinction." 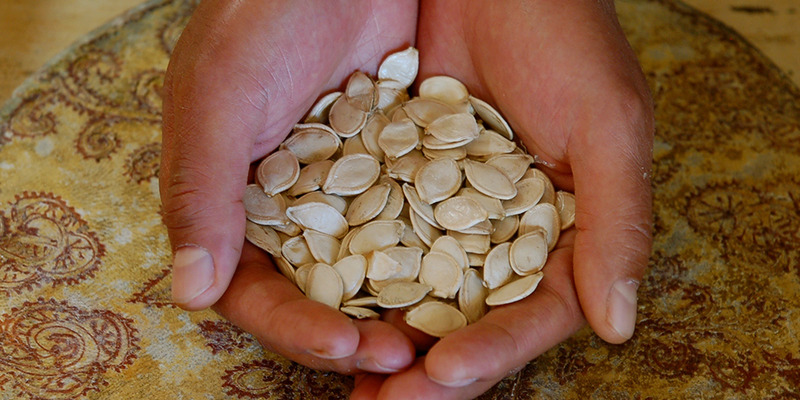 EOS conducts, demonstrates and teaches organic farming practices and seed banking techniques based on a philosophy integrating ecologically and spiritually sound principles. The primary goal of EOS is to collect, grow-out and create a gene pool of highly nutritious and endangered food and medicinal crops from heirloom varieties. Seeds from these crops, and information about them are made available to the public in order to forward the EOS mission to reintroduce and preserve diversity in the food chain; to perpetuate a healthy food supply; and to serve as an educational resource and model of how to do so.